The German artist an musician was born in the Black Forest in Muellheim in 1975. There, he grew up as the oldest son of eight siblings in a family with a long musical and artistic tradition. From a very young age on he autodactically trained his artistic skills and developed a truly unrestriced form of self expression by combining many of his talents into a vast array of disciples, from drawing to painting to sculpting to music. After finishing the Freie Waldorf school in Freiburg, he travelled with music friends from the USA to Central America. Ultimately he stayed there for three years living in the local indigenous community. This episode of his life sharpened his reflection about the essential strucuture of human being, a theme which he would also process in a variety of later work pieces. 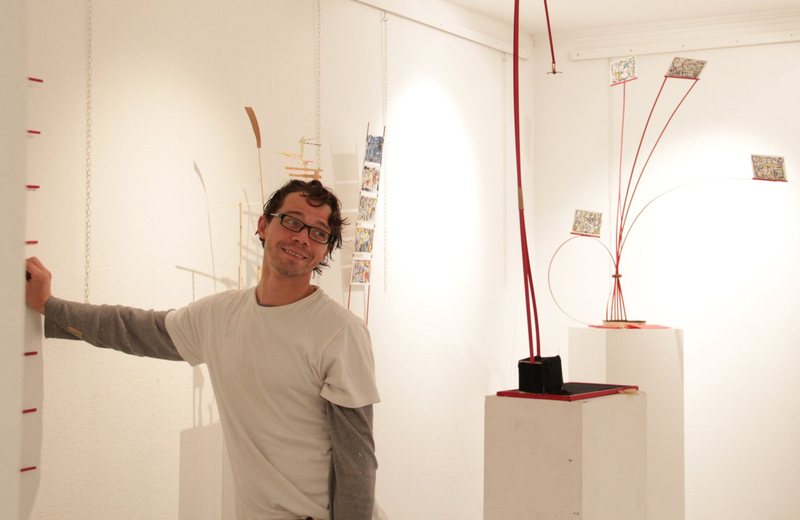 After returning to Germany he studied communications design at the Grafic School Freiburg. There he deepened his theoretical and practical knowledge about artistical expression, just before returning to his autodidactical studies to advance the development of his individual style. In the years 2000–2011 he was responsible for the maintenance organisation of the family residence Wernstein Castle. During this productive episode and besides his work as a freelance photographer, numerous live and studio music productions arouse (e.g. for film, advertisement), as well as a vast array of paintings, objects and photographs for several exhibitions. From 2011 on he expanded his technical skills in multimedia productions working as a cameraman. Through the birth of his son in 2013 he was able to develop a new side of himself – a rather childishly playful one – which found its expression in various photo and video serie as well as in the Kinder Songs. In the beginning of 2016 his new project Live Enlightenment emerged out of his work with light that had accompanied him for many years. During this kind of lightpainting the real environment is being painted with light in real time. This offers a combination of digital media with painting and action art that has never been seen before – with breathtaking effects for the viewer! The multi-instrumentalist Raphael ignores traditional genre boundaries to find inspiration for his electro improvisation in chill, funk and pop music and experiment with exotic sounds as e.g. in the Koto Songs. The transience of the moment resides in Raphael’s object art – it ranges from mainly ready-made and transient up to delicate, abstract, wooden sculptures. His paintings and drawings show a contrasting style from rough drafts to perfect lines, in colorful design and of a careless lightness as is the ideal of his life.